If you're looking for a unique gift, our personalized coaster set will not disappoint. 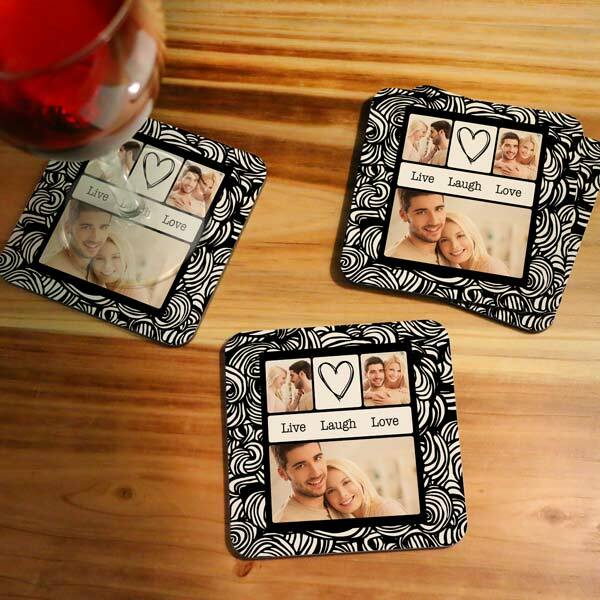 Whether it’s Mom’s birthday or a friend’s housewarming, you can create a coaster set with their favorite photos featured on one of our many styles templates. Not only practical, our coaster sets are a great way to add interest to your loved one’s dining décor and are a perfect accessory for entertaining! 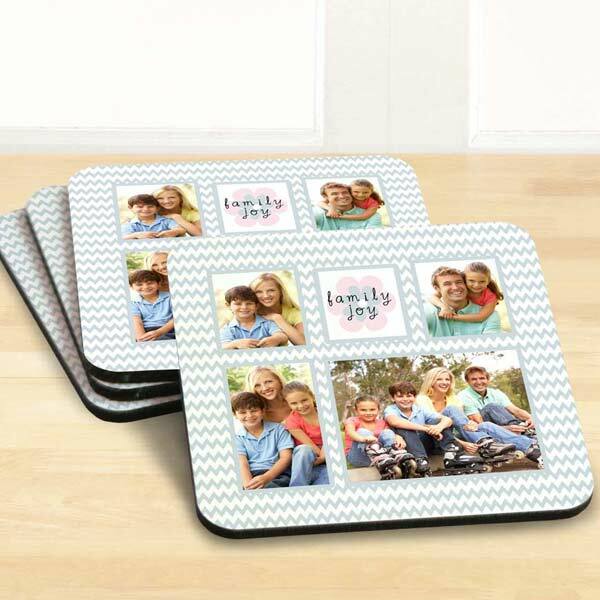 Furthermore, we offer other custom photo products so you can create a unique gift set! 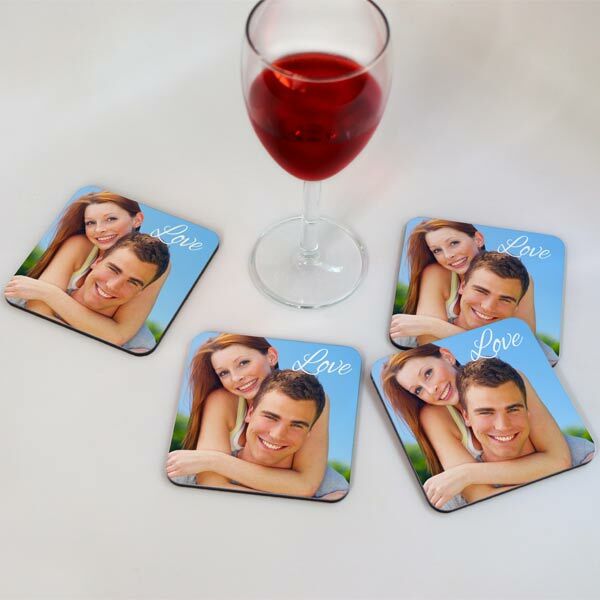 Our coasters pair perfectly, with personalized photo mugs and our custom placemats. Brighten up Grandma's dining table with photos or create a fun, personalized houswarming gift for your best friend's new apartment. Use your loved one's photos and create something special just for them today!